survival, emergency preparedness, prepper, survivalist, everyday carry, emergency kit: DNA sequencing - faster, cheaper, and with music. DNA sequencing - faster, cheaper, and with music. 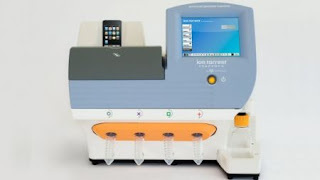 A personal genome machine with an iPod/iPhone dock - Not sure how all that comes into play with this device but it's out there...somewhere. Read a little about the man behind the company.